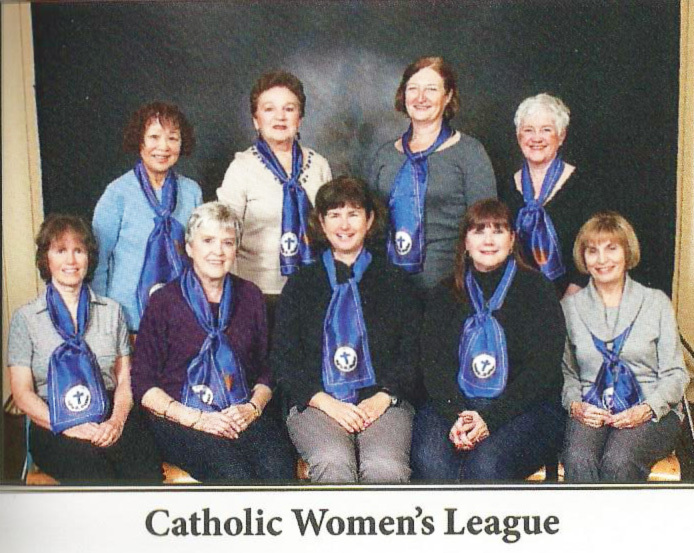 The St. Stephen’s Parish Council of the Catholic Women’s League of Canada (CWL) is one of our oldest and most active parish organizations. The first meeting of the organization was held on March 24, 1964, just a few months after the first Mass in the parish was offered. Our first president was Jackie Fodor. to contribute to the understanding and growth of religious freedom, social justice, peace, and harmony. St. Stephens CWL holds two fundraising events a year, Fall Christmas Craft Fair and a Spring Garage Sale. All money raised goes towards worldwide and community groups as well as individual requests. Besides supporting St. Stephen’s Parish and its functions we contribute to PREP, St. Vincent de Paul, Harvest Project, Covenant House, Pro Life, Birthright Vancouver, Domestic Abuse Society, B.C. Mental Health Association. We contribute to a Bursary for a High School Grad as well as sponsor a Seminarian. We also give monetary and material support to Mary’s Place and the North Shore Shelter. On a worldwide basis we contribute to Catholic Missions of Canada, Coady International Institute, Canadian Catholic Organization of Peace and Development, Matercare (Kenya, Haiti and Ghana) and Save a Family Plan (India). The CWL is very involved and committed to ensuring basic human rights issues are kept front and foremost in Federal Politics. Resolutions have been written for readings on such issues as Prolife, Human trafficking, Prevention of Euthanasia, Employment Insurance Benefits for Cancer Patients and their Caregivers and their Legislation progress is continually monitored.